At the beginning of this school year, last August, the disciplinary action for fights changed from just having a three-day suspension. 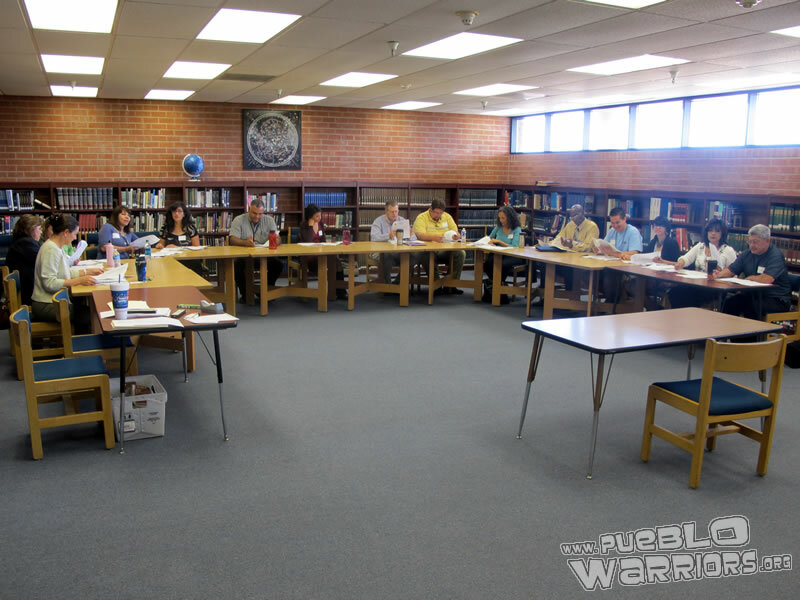 After November, this TUSD policy changed to having a “Big F”, which is a code to indicate the severity of a fight, which usually results in a student being suspended for three days. 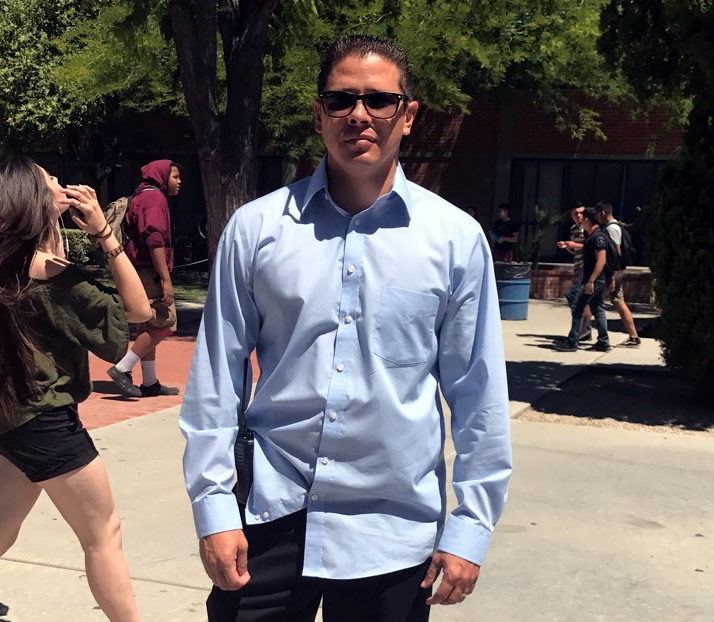 A “Little F” is a code that results in a three-day in-school suspension, usually requiring a student to spend those days with Mr. Mario Reyes, Pueblo’s ATS (Alternative To Suspension) teacher. However, if there are any threats on Facebook, and this becomes public on school campus, this offense will have to be counted as a school threat, resulting in more severe consequences, Rosthenhausler said. According to Rosthenhausler, there were approximately 17 total fights this school year. He said that freshmen continue to cause the most drama on campus, and they make up the majority of physical altercations at Pueblo. Rosthenhausler said that the primary excuse for most fights was girls fighting over boys. “The old cliché of ‘girls getting cheated on and wanting to fight the other girls’ is very common,” he said. According to Mr. Mario Reyes, there are ways that Pueblo can reduce the number of altercations. 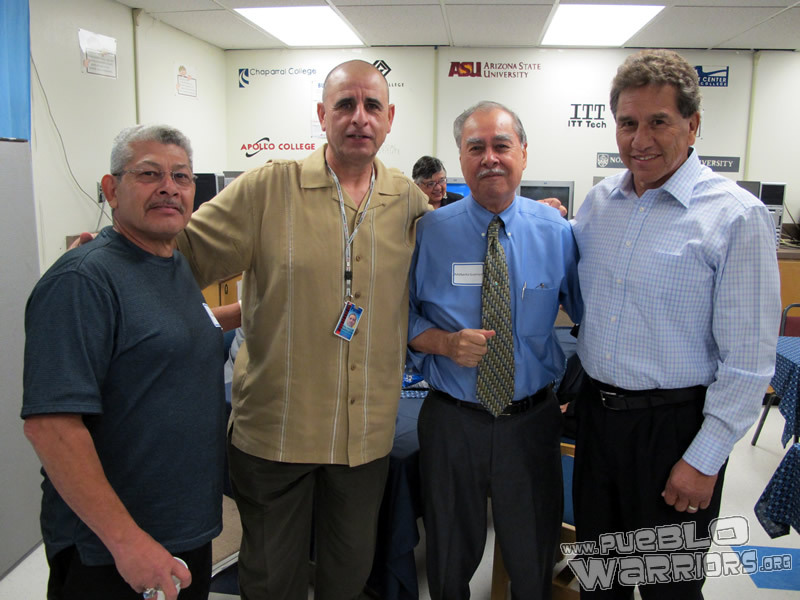 Carlos Armendariz was officially appointed Principal of Pueblo High School by the TUSD Governing Board for the 2010-2011 school year. Carlos served as interim when Patricia Dienz was appointed Director Of High School in February of 2010. He’s been a part of Pueblo’s administrative team for the last 5 years. Carlos during the welcome back meetings. 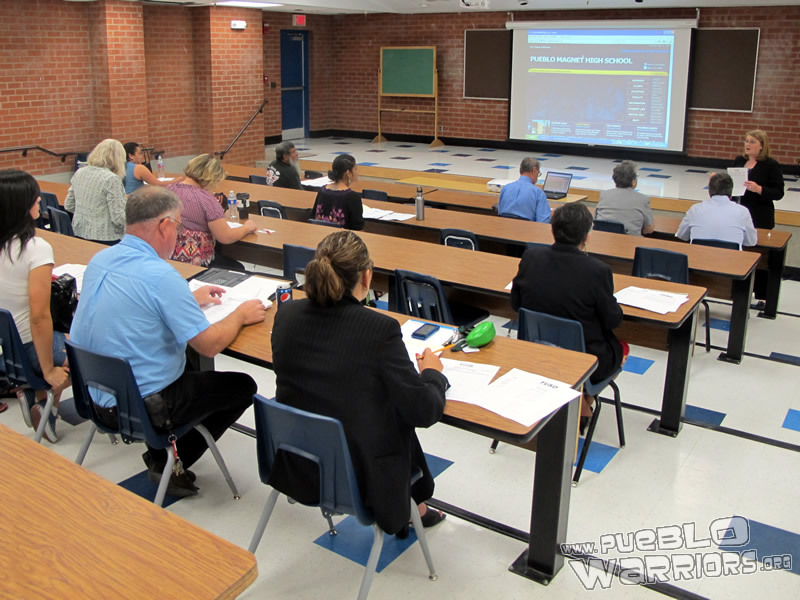 Pueblo has started the interview process for our new Principal. The search committee met today for the 1st round of interviews. 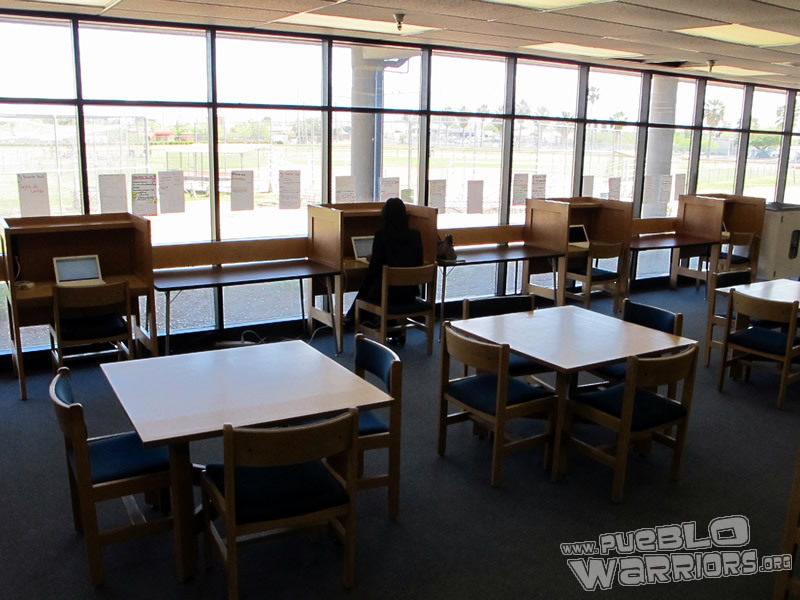 Pueblo had a considerable amount of applicants from various backgrounds. This round of interviews will determine the top applicants that will move on to the 2nd round of interviews to be conducted by the Assistant Superintendent. We will keep you informed with the latest on the search for Pueblo’s new leader. Our Back To School Celebration Open House brought many to Pueblo to tour the campus. Parents and students had an opportunity to talk to club sponsors and athletics coaches during the club & sports crawl. Then parents followed their child’s regular day schedule and visited all their classrooms to listen to teacher presentations. Teachers then discussed their course curriculum and requirements. We thank everyone for their effort in making this a successful event. See you at our next Open House. Pueblo will be hosting it’s annual Back To School Celebration on August 26th from 6:00 – 8:30 p.m. Everyone attending will have an opportunity to meet with coaches, club sponsors, and our Athletic Director to learn more about our extracurricular activities. 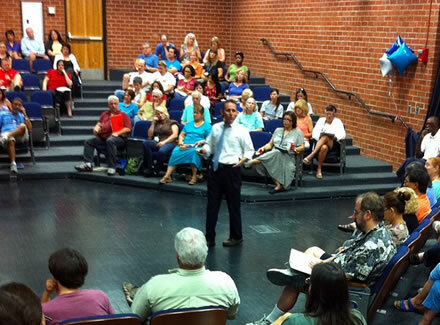 Teachers will be available to discuss course requirements and classroom expectations. Coaches and club sponsors will be available in the patio to provide information about their programs and answer questions about how to get involved in extracurricular activities at Pueblo. Entrenadores y patrocinadores de clubes estarán disponibles en el patio para proveer información acerca de sus programas, y para contestar preguntas acerca de como participar en las actividades extracurriculares de Pueblo. The office staff will be available to provide copies of student schedules for parents. El personal de la oficina estará disponible para proveer a padres de familia con copias de los horarios de clases de los estudiantes. Counselors will be available to print parental access information for parents. The information will provide you with the information that you need to look up student information such as grades and attendance online. Los consejeros estarán disponibles para imprimir información de acceso para padres. Esta información proveerá las herramientas que ustedes necesitan para revisar las calificaciones y asistencia del estudiante. Parents will have the opportunity to visit their student’s classrooms and meet their teachers. Parents will move from class to class with six-minute passing periods. Los padres tendrán la oportunidad de conocer a los maestros y visitar los salones de clases de sus estudiantes. Are you behind on credits? Worried you won’t graduate on time? 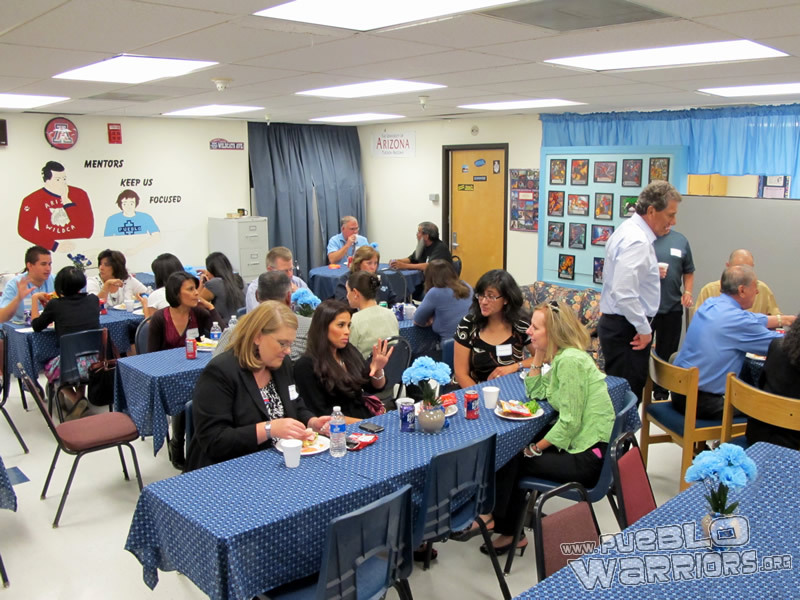 Sign-up for Warrior Weekend Academy for Pueblo Students only. You can earn a half-credit of English, Algebra, or Geometry in only 15-21 hours! Cost is $75 per half credit. Space is extremely limited! Only fifteen students per session! To register, please see Mrs. Gunnels in the English office (Rm 110) during lunch or after school.